Looking to get healthier? The best wheatgrass juicer will get you on your way. 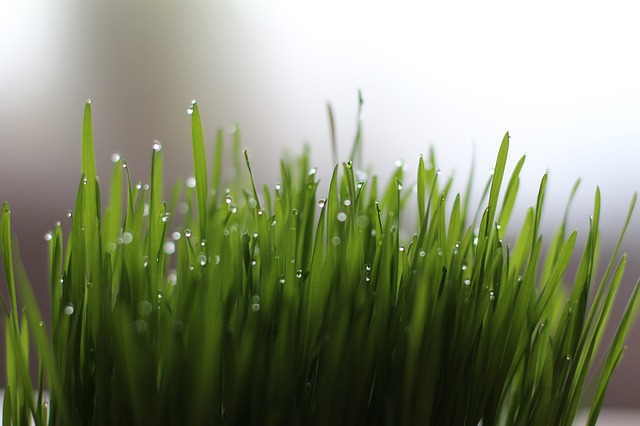 Unlike regular vegetables and fruits, wheatgrass requires extra juicing power. So when it comes to picking out a machine to do the job, any product won’t do. Below are some of the best choices that work for juicing wheatgrass. Our list gives you a few different types of juicers that lets you squeeze the nutrition out of wheatgrass. To get to know each product better, each item has a review in the section below. Click here to check out the juicers for wheatgrass with the highest ratings on Amazon.com. Best Wheatgrass Juicer for the Money: This masticating juice is one of the most popular juicing machines available because it is capable of juicing both fruits and vegetables and very efficient at it. It does cost a bit more than the centrifugal juicers, however it enables you to get more out of the foods you juice. It likewise can juice certain items like wheatgrass that those machines aren’t efficient at doing. An Omega J8006 model juicer is a low speed juicer. Its 110 volt motor operates at a speed of 80 rpm (revolutions per minute). In contrast to many juicers which run at well over 1000 rpm, this means that you will need to be more patient as it does take longer for this type of device to fill your glass. When it comes to juicing wheatgrass (and other juice sources) slower is better because high speed juicers destroy nutrients and can cause oxidization. The J8006 uses double juicing action to get the most nutrition possible. The first time through juice is extracted and pulp produced. However, before the pulp is discarded it is ‘juiced’ a second time so maximum benefit is gained. Nut butters, baby food and soy milk are just some of the items that can be created with this appliance besides juices. If you have extra case and don’t mind making an investment for your juicing needs, this is a juicer you can get. A Super Angel Deluxe Model Juicer makes juice from wheatgrass, vegetables and leafy greens. Many of the parts for this model have been upgraded including the safety sensor, the motor control board and the motor itself. The self adjusting speed control feature helps prevent jamming in the event of an overload. If jamming should occur the automatic reverse function is designed to help correct it. This juicer also cools itself automatically in the event it overheats. The juicer comes with, numerous useful items including (but not limited to) a splash guard, a cleaning brush, a screen scraper, a cup for collecting pulp and a Pyrex glass for collecting juice. It also includes an instruction manual, recipes, and instructions for juicing. Cheap Wheatgrass Juicer: If you aren’t ready to spend the cost of the juice machines above, then this is something that gives you a more affordable way to draw out the nutrients from wheatgrass. This is a manual juicer. In short, you’ll need to do some manual work in turning the hand crank to squeeze out the juice from the foods that you put in the device. Chef’s Star Manual Juicer is operated by hand. While it does take extra effort, this gives an advantage of convenience. You’re not dependent on electricity to have your juice. The hand cranked juicer has a single augur so juice and pulp are separated in one easy step. But, in such a way that a maximum amount of juice is extracted. This means you won’t be sending valuable nutrients to the compost. This juicer has a suction base which allows it to be securely placed on most flat surfaces. This also means your energy for turning the hand crank won’t need to be diluted by the need to hold the device in place. A Chef’s Star Manual Juicer weighs one pound. Parts can be washed separately. Manual Wheatgrass Juicer: The Lexen GP27 is a manually operated juicer which Lexen promotes as the Original Healthy Juicer. For those who are looking for a device that’s specifically designed to juice wheatgrass, this is it. It is made primarily for juicing wheatgrass and leafy greens like kale and spinach. The Lexan GP27 uses a suction base, rated at 100 pounds of holding pressure, to adhere securely to flat, smooth counters and table tops. This helps keep the device securely in place as you turn the crank. It also eliminates the risk of slipping or sliding. The “C” style clamp at the base of the device provides additional stability when tightened on to a table or counter edge. Unlike many of its competitors, Lexen does not use a cutting screen in its juicer. This means you don’t need to take the time and effort to scrub the screen to remove debris from its tiny holes. Only three parts need cleaned by hand in soapy water. This ease of cleaning is why we think many customers will consider this the best wheatgrass juicer. Now you know which of the products are proven to be effective in juicing wheatgrass, the rest is up to you. Get some wheatgrass from the store and start making juicing a daily habit. Your body will love you for it.